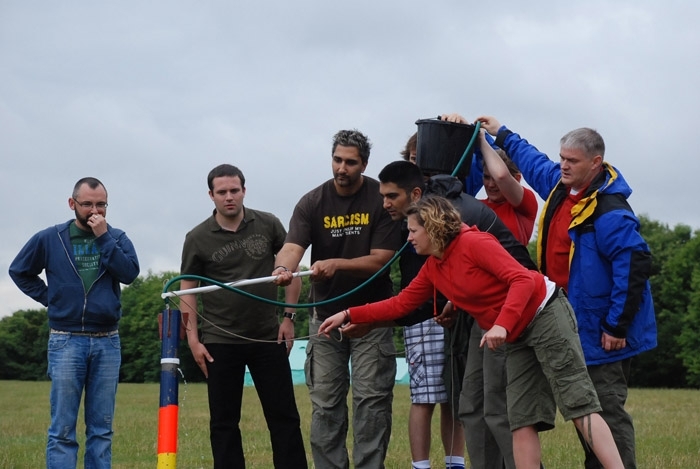 Our teambuilding courses are designed for your needs, so we can organise a course specifically to achieve an objective in your organisation. 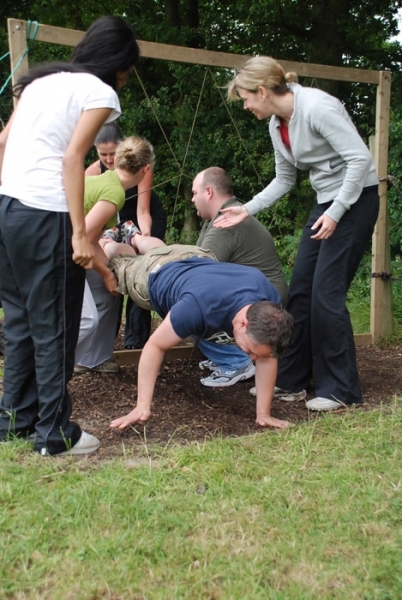 We specialise in Teambuilding Days, as well as incentive breaks for companies. TrekCo team days have been used by Brighton University’s renowned Business School for 15 years – click here for the article on the University’s website. Your company could be large or small – we have worked with everyone from local restaurants, primary school staff days, to Marks and Spencer, the Bodyshop, Virgin, Esso and more. The courses are devised by Steve Ranger MA, who has specialised in research into the uses of outdoor pursuits for training and educational purposes. Day courses designed to introduce people to each other and to enhance the bonding of groups and formation of teams. Ideal for organisations that want to achieve solid results in a short time, these days have proven highly successful and are extremely affordable for any budget. These days usually start at 10.00 a.m. to allow for travel time from most locations in the south-east. We introduce the aims and format of the day to all of the participants, and give a safety briefing with detailed instructions. The finish time for the day is completely flexible, as you’ll see from the format below – so you can spend as much or as little time as you like, and arrange meetings, lunch and end of day transport to fit in perfectly. Ideally you will have divided the participants into groups beforehand – these should be of approximately 5-8 people if possible, but a minimum of 4 and a maximum of 10 is possible. We can also divide the participants into groups for you – if you have a particular reason for mixing some people with others please let us know, but we use a simple format which normally ensures that regular colleagues don’t have the chance to work with one another. This is a crucial aspect of the organisation of the day to ensure a successful outcome. These groups are then allocated tasks which gain points, which of course give the totals for a team competition through the day; but teams will only be able to maximise their points by working together in a co-operative fashion as the design of the tasks necessitates this approach. 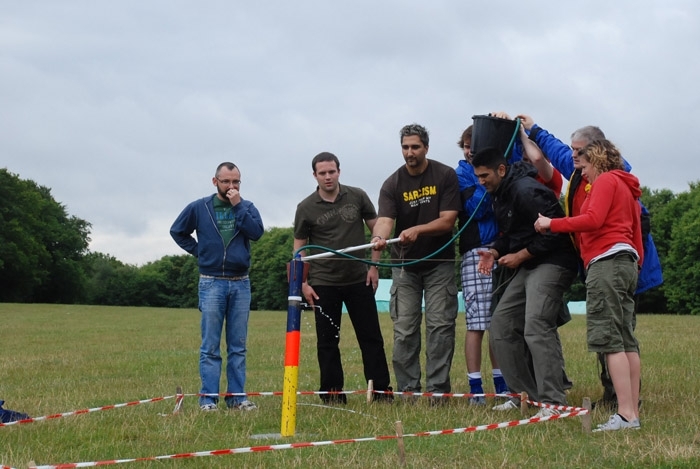 Each team gets a task and an instructor, which they complete in the time given. They return to ‘control’ once finished and get another task – so the team gets through as many tasks in a day as they are able to complete. Some of the tasks involve outdoor type activities like abseiling or a simple caving system; some are ‘planks and barrels’ or ‘get across that stream using this squeegee bottle’ style tasks; and some are more discussion and ideas based like having to balance 14 nails on the head of one nail. Each team gets a mixture of tasks and it is a well tried formula. 1. 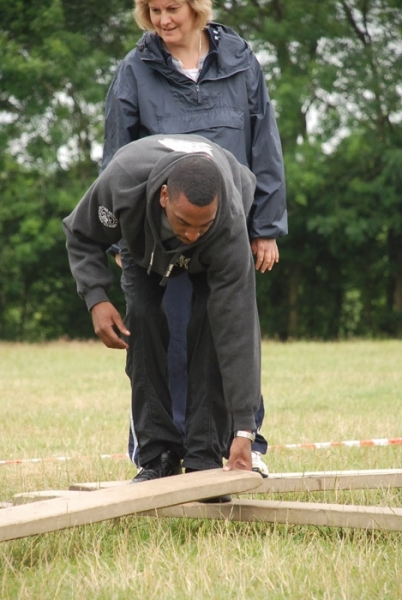 Activity based – the participant needs to take part in an activity to gain points for the group – such as abseiling or high wires. 2. Planning and co-operation – the group must devise a plan to achieve a specific objective, and carry it out. These tasks often involve, for example, being given materials to cross a gap or to construct a system. 3. Democratising tasks – tasks that rely on the team all performing and co-operating and don’t work well with leaders. Almost all tasks have roles for people who either have a disability or who do not wish to participate in an activity which might make them uncomfortable. 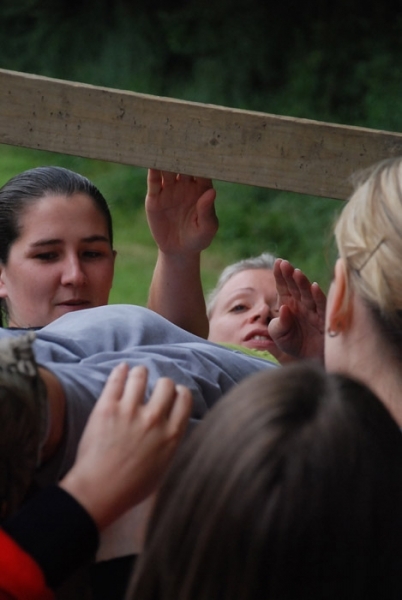 The idea of the courses is not to make them a physical challenge, but to foster teamwork and co-operation. Teams must also manage their own time, so they must have a compulsory 20 minute lunch stop which can be taken at any time. It’s surprising just how competitive some people can be. At the end of the day the points are calculated and there is a grand ‘egg-drop’ which is the final and often tie-breaking task. The debriefing or summary of the day is done after this and you return at a time you specify. Post- event we can organise pub or hotel meals, social events and accommodation. Over the course of two days, undertake a course which combines outdoor activities such as abseiling, orienteering and high wires with problem solving and planning tasks. Teams take part in many of the tasks in the days mentioned above, but also need to find their meals, navigate across country and find unexpected challenges. We work closely with Brighton University Business School – Business School first year undergraduates come on a course with us to get to know each other and learn aspects of teamwork soon after they arrive at University. We have been running these courses for eight years now. 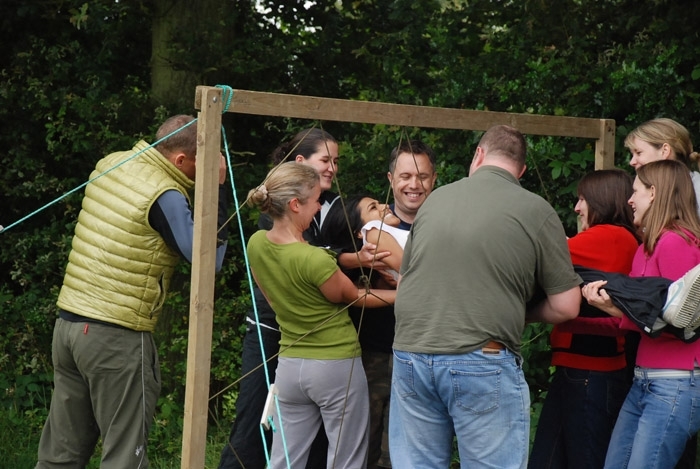 If you are a teacher or college lecturer interested in outdoor Induction and Teambuilding Days especially designed for year groups and courses of students, have a look at the Induction Days page by clicking here.